In this piece, Jessica Winston and Emma Whipday discuss their upcoming work. Although performance-oriented scholarship has had an important influence on the research and teaching of Shakespeare, such work is not yet a routine part of studies of Tudor drama. 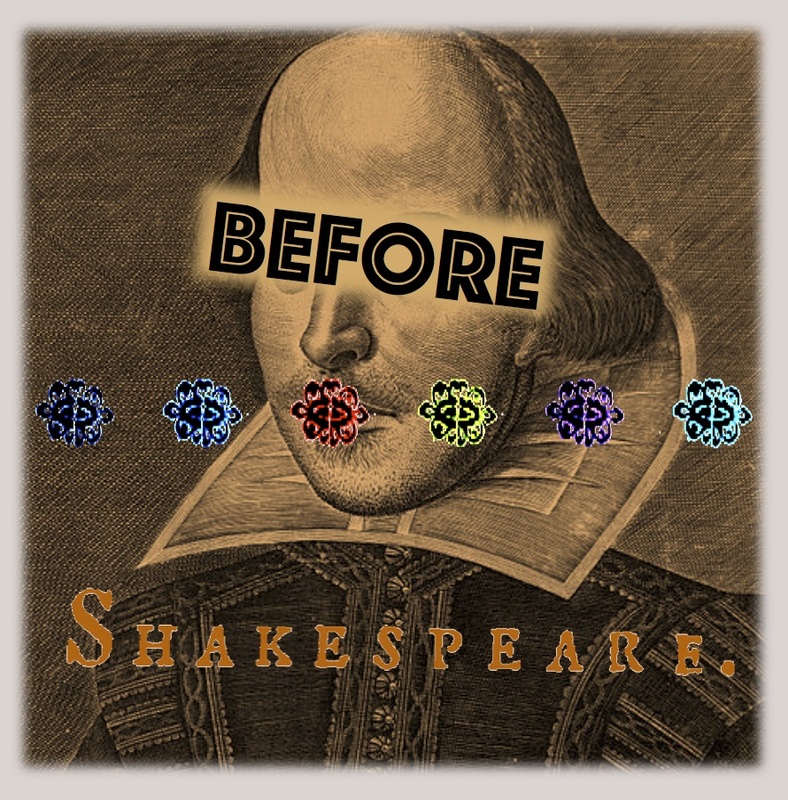 In recent years, performance-oriented work has begun to make its way into sixteenth-century studies, with projects like Shakespeare’s Globe’s Read Not Dead, which includes readings of some pre-Shakespearean plays, and Before Shakespeare itself. Yet little attention has been paid to how performance-oriented research might affect the study and teaching of early Tudor plays—those sixteenth century plays composed prior to the period traditionally said to see the emergence of the public theatres. My current research considers the modern reception of Tudor drama in performance, using this this topic to open up a larger question about approaches to modes of “partial” performance—those modes of performance that are oriented toward the theatre, but are not full theatrical productions. The modern performance history of Tudor plays is almost entirely confined to these modes. In Shakespeare performance criticism, the current trend is to conceptualize each performance as a unique event that brings together text, acting, lighting, directing, sound, blocking, spatial layout, and other elements to create a singular occasion. The text is only one part of the production, and often not even the most significant. While this idea makes sense for full-scale, and especially professional productions, it does not map well onto modes of performance in which the textual or verbal element of the text is a central – even defining – feature of the performance, for instance in readings, staged readings, and radio dramas. Such modes of performance have been understood, in comparison to full-scale productions, in the words of Genevieve Love on staged readings, as a “stepping-stone,” “wish,” or “becoming” on the way to full performance. But I qualify this view, suggesting that it is helpful to examine these plays not solely in relation to theatre, but also in relation to individual reading, especially the reading associated with formal education. At least in terms of Tudor plays, such performances often offer producers and audiences, including members of the public, academics, and theatre practitioners opportunities to extend their learning about Renaissance drama—opportunities to go beyond what one has learned as an undergraduate or postgraduate, while also providing background for engaging with those Renaissance dramas that tend to be produced in fuller forms, especially by professional companies. To illustrate this point, my talk at Newcastle will discuss The First Stage, an ambitious, thirteen-episode series of early English plays produced for BBC radio in the mid-1950s. For scholars of early modern drama, the series is of general interest because it represents one of the earliest professional projects of director John Barton, who adapted the scripts, and because it offers some of the only professional productions of many rarely played Tudor dramas, such as The Play of the Weather, Gammar Gurton’s Needle, Ralph Roister Doister, and Gorboduc (although notably some of these have also been presented relatively recently, for instance in the project Staging the Henrician Court or by companies such as Owle Schreame). Initially, the history of this radio series suggests that each production should be understood as a performance event, which brings together an often radically adapted text with voices, musicians, sound, and other technical effects to create a distinctive listening experience. Yet the presentation of the plays in a series and its audience reception suggests that the implicit but guiding principal of The First Stage was to frame the plays as written texts made accessible via radio, and in this sense, the series is also constructed to exist as a substitute for reading, an experience that allows listeners to extend their formal learning and to prepare themselves to appreciate more fully the more canonical plays they might see at the theatre itself. Like Jessica, I’m interested in performance as an approach to non-Shakespearean drama; performance practice as research provides a correction to the Shakespearean predominance in the contemporary canon. The dramaturgy of Shakespeare’s plays has been repeatedly explored via a wide range of actor and director choices, while many non-Shakespearean plays have been examined only in their textual incarnation, placing the latter at a disadvantage. This is particularly true of plays and interludes that explore tropes that are today known almost exclusively via the work of Shakespeare. The Disobedient Child offers a version of the “shrewish wife,” familiar to today’s audiences from The Taming of the Shrew. However, the rebellious wife in this play isn’t contained within the kind of shrew-taming narrative a modern audience might expect. Instead, the play focuses upon a vexed relationship between a father and a son. An unwise marriage to an autonomous and strong-willed woman is the symptom, rather than the cause, of the son’s tempestuous behaviour – the outcome of his own rebellion against his father’s authority. The son is punished for his insubordination by suffering, in turn, the insubordination of his wife. The shrewish wife forces her husband to take on her own housewifely tasks, to keep house for her while she gads with her friends, and asserts her domestic authority through escalating violence. Her husband makes no attempts to ‘tame’ her, and the interlude situates the wife’s behaviour within a wider, comic context of overworked servants, a neglected priest, and a brief appearance by the Devil itself. In our staged reading of The Disobedient Child, we borrow from the Read Not Dead model of script-in-hand staged readings at Shakespeare’s Globe, with a single group rehearsal, and limited, emblematic props and costumes. But unlike the Globe, and building on Tiffany Stern’s research, all the actors will use “actors’ parts” (with just each actor’s own lines and short cues), rather than full scripts. This challenging departure from the Read Not Dead model enables us to explore how these methods inflect each actor’s sense of their own character, the developing character relationships, and the relationship between actors and audience. In staging this play at “Tudor Plays in Performance,” in conversation with Jessica’s exploration of the possibilities of “partial performance,” we want to explore how bringing this text to life can shed light on the potential of performance practice as research, and illuminate the comedy, violence, allegory, and gender dynamics of this neglected play.